THURSDAY, Aug. 30, 2018 (HealthDay News) -- The consequences of the opioid epidemic may be more far-reaching than thought. New research suggests that children who experience drug withdrawal after birth may be at risk of educational disabilities between the ages of 3 and 8. Additionally, the Tennessee study reported that children with neonatal abstinence syndrome (NAS) were also more likely to need special education services or therapies. "We've seen rapidly rising rates of NAS in the last decade or so. Rates have risen greater than 1,700 percent since 1999 [in Tennessee]. But there's been limited data on long-term outcomes and we wanted to try to understand the quantifiable impact," explained study author Dr. Mary-Margaret Fill, a medical epidemiologist with the Tennessee Department of Health. 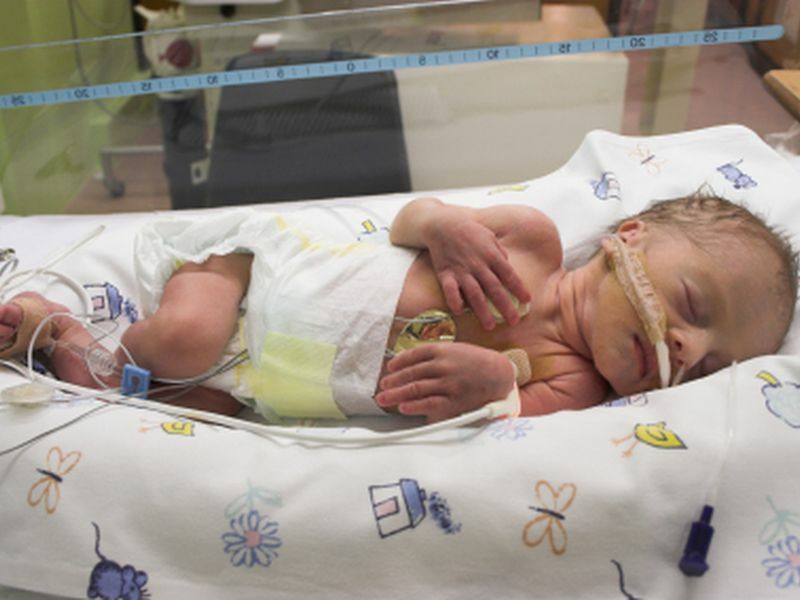 Nationally, the rate of neonatal abstinence syndrome rose nearly fivefold from 2000 to 2012, according to the researchers. One infant is born every 25 minutes with NAS. Symptoms include tremors, high-pitched crying, irritability, poor feeding and vomiting and diarrhea, the researchers said. Approximately 11.5 million people misused prescription opioids in 2016 in the United States. Almost another 1 million people used heroin, according to the U.S. Department of Health and Human Services. And, as opioid use has risen across the nation, it has also risen in pregnant women. A U.S. Centers for Disease Control and Prevention study released earlier this week found the rate of pregnant women with an opioid use disorder quadrupled from 1999 to 2014. In 1999, 1.5 per 1,000 delivery hospitalizations involved a mother with an opioid use disorder. By 2014, that number had jumped to 6 per 1,000. To see what impact this might have, the study team looked at data on more than 7,000 babies born in Tennessee between 2008 and 2011. About one-third of the babies had neonatal abstinence syndrome, according to Fill. The researchers compared those babies to the ones born without NAS. They also analyzed early education data from when the children were between 3 and 8 years old. The study found that children with NAS were more likely to be referred for an educational disability evaluation than children who didn't have NAS -- more than 19 percent versus nearly 14 percent. They were also more likely to meet the criteria for a disability -- 15.6 percent versus 11.7 percent. The most common education disabilities identified were developmental delay and speech or language impairment, the researchers said. Children born with neonatal abstinence syndrome were also more likely to need classroom therapies or services compared to kids without NAS -- 15.3 percent versus 11.4 percent. Fill said it's not clear how NAS or opioid exposure affect the fetal brain. She said some animal studies suggest that changes might occur in the brain, but more research is needed. In the meantime, she said, this study "reinforces the need to reduce non-necessary drug use prenatally. Try to avoid opioid exposure during pregnancy, if at all possible." Fill also pointed out that children born with NAS need quick referral for intervention services. "There's good data to show that children enrolled in early intervention may make up for some disabilities and help children reach their full potential. But they have to be connected with those services," she said. It's also important to note that not all children with neonatal abstinence syndrome experience educational disabilities. Dr. Lisa Waddell from the March of Dimes said, "NAS is a difficult experience for the newborn and to watch, and now we're learning it can have more long-term consequences." Waddell said this study shows how important it is for all women to get quality prenatal care. "If women are using drugs, even prescription opioids, in some cases they may feel stigmatized and not come forward for care. We need to ensure that women are comfortable enough to get care so they can get into treatment as early as possible," said Waddell, who wasn't involved with the study. She agreed with Fill that if children are born with NAS, there needs to be a system in place to identify and follow them so they get the early intervention care they need. The findings were published Aug. 30 in the journal Pediatrics.